A few years ago, Whitney Houston hit rock bottom in her career as she was revealed to be hooked on drugs. Around the same time, her relationship with Bobby Brown had become a freak show. The couple had come together to profit off of their pain in 2005. "Being Bobby Brown" would become the breakout hit of the summer of 2005. But, it did nothing to help their relationship. Bobby Brown opened negotiations with Bravo early in 2006, but the deal fell through when Whitney Houston revealed she would not return to the show. Possibly because she turned down another season of the show, Houston's marriage to Brown soon ended. As a single lady, she soon began a close friendship with Ray J. Ray J would help her begin her comeback. Before the end of 2008, Whitney Houston began making public appearances again. In the past, Houston made public appearances and she seemed to be out of it. But, for the first time in years, Houston was calm and collected. 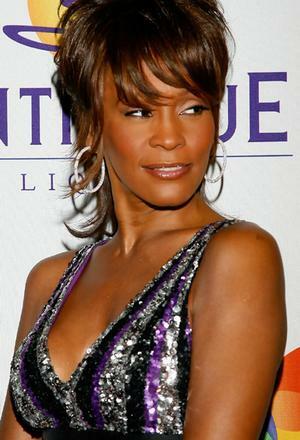 Towards the end of 2008, Whitney Houston revealed she was working on a new album, her first since 2002. In the fall of 2009, Houston released her comeback album and it debuted at number one on the Billboard Hot 200. Right before the public eye, she had transformed back into a star. In the celebration that came after the release of her album, Whitney Houston has been revealed to possibly have another addiction. During her past few outings, Whitney Houston has been seen a lot bigger than most people know her to be. Houston has gotten very big in the months since the release of her album. She argues she is simply healthy, but she has gone through a lot. Her ex-husband, Bobby Brown has a child and is engaged to the mother of his child. Once he creates another family, Brown is planning his own comeback album. The news of Brown's comeback has spread like wildfire and this could have been too much for Whit.